The Institute of Islamic Studies is launching a new Arabic Summer Program, aimed at teaching students, researchers, and professionals, one of the most important languages in the world. 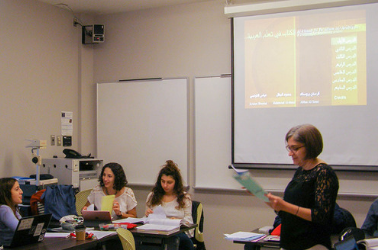 Building on McGill’s multi-lingual and multi-cultural strengths, the program is an 8-week intensive and immersive language experience that combines formal language training in Modern Standard Arabic with cultural and social activities. 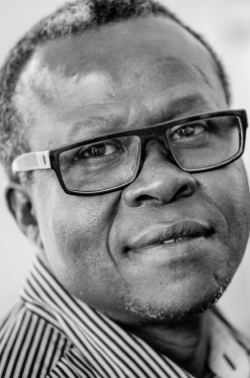 The unique and carefully designed program aims to create an environment in which participants come as close as possible to the experience of staying in a country where the respective language is spoken. With registration set to open on December 7, the Institute expects to recruit individuals, on and off campus, who have an interest in language and culture. The program will be delivered by specialized language trainers and will be equivalent to a regular one-year course. One of its unique offerings is the access to extracurricular activities, including field trips to Arabic bookstores and restaurants, sports activities, social clubs, and lectures, all planned and organized to enhance the experience and learning of participants. Within the first days of the program, students are required to make a solemn promise to communicate only in Arabic, an approach that is proven to return the very best results. Participants commit to speaking, reading and writing in Arabic throughout the program, including weekends and holidays. The Institute of Islamic Studies sees great potential in this new initiative as it is now the only program of its kind in Eastern North America, since Middlebury Language School moved their Arabic program to California in 2009. It is also the only Arabic immersion program held in a large cosmopolitan city. A member of the McGill community since 2005, Shokry Gohar, Arabic Language Program Director, is leading the program after having spent many years teaching Arabic at Middlebury Language School, and in different institutes and language instruction environments, both in immersion and non-immersion programs, in Egypt, the U.S and Canada. As the Program Director, he designed a transparent and concrete syllabus for each level in the program and created an innovative curriculum for the advanced level, which will help students acquire the language in a foreign learning environment in which time and foreign language input are limited. “Canada adapts the mosaic model and celebrates multiculturalism by encouraging minority groups (including the Arab community) to integrate within the Canadian culture rather than to assimilate into it. In comparison with Canada’s other major cities, where Cantonese, Mandarin, Punjabi, Tagalog, and other minority languages are omnipresent and spoken, Montreal embraces the largest concentration of Arabic speakers,” he said. McGill’s already existing Arabic Language program has been the backbone of the Institute of Islamic Studies since it was established in 1952. Over the years, the Institute has earned a formidable reputation, not only in Canada but also in the US and Europe, as a prestigious academic institution for promising young scholars. Dialect and speaking classes provide students with skills to interact in the spoken form of Arabic used in the Arab world. Five different levels are offered and curriculum details can be found on the program website. The non-credit program will use the series of textbooks Al-Kitaab fi Ta’allum al-‘Arabiyya by Kristen Brustad, Mahmoud Al-Batal, and Abbas Al-Tonsi, and make maximum use of a wide variety of authentic materials such as Arabic literature and music. Outside the formal classrooms, students are encouraged to participate in extracurricular activities. The purpose of these activities is to provide students with an opportunity to use Arabic within a less formal and more social and cultural context. Students can choose from a variety of different subjects, such as Islamic history, cuisine, literature and calligraphy. The purpose of these activities is to provide students with opportunities to expand their vocabulary size, develop their receptive (i.e., reading and listening) and productive (i.e., speaking and writing) skills, and get acquainted with the Arab culture. Participants will live in a dormitory/residence to encourage communication exclusively in Arabic and to provide them with opportunities to immerse in the language through daily spontaneous unrehearsed interaction with neighbors, while creating a sense of community. The language oath taken at the beginning of the program obliges students to use only the target language at all times – in formal classes, in the common space on campus, during outside-of-class activities and in the obligatory co-curricular activities. The commitment to use Arabic as the sole language of communication ends when the students leave the campus at the end of the program.